Hey I am Adam or FLeZ. 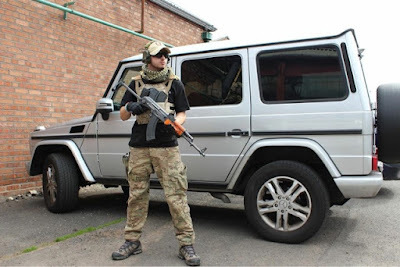 I am an Airsofter from Liverpool in the UK. I am the content creator behind the YouTube channel - FLeZAirsoft which I have been running since the first day I started playing. I am predominantly a MilSim player, so expect to see a lot of that on the channel. In my day to day life I am a HGV driver and that’s how I fund my Airsoft addiction. I have been playing Airoft for just under 1 year. Which surprises people due to the amount of MilSims/sites that I have played, My first ever games have been posted onto to my YouTube channel. I got into Airsoft by seeing a picture on my mates Facebook account from a Stirling Airsoft event, it was him on a .50 cal on the back of a WMIK. I remember just thinking "WOW", I got hooked straight away and wanted a piece of that. I must of asked him about a million questions, it's funny because I used to argue all the time about how Paintball was better to him - SORRY GABZ, I WAS WRONG! That’s where my love for Airsoft lies, MILSIM!!! 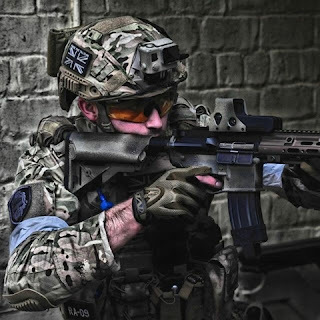 My home site is SWAT Fortress in Liverpool. All my MilSim games have been at awesome sites, every one of them has had something different. The MOD sites like Stanta/Copehill/Sennybridge have all provided great experiences for me, but the most memorable has to be UCAP Sandpit for Stirling Airsoft Op Grandstand - that’s where I got a full insight to what MilSim could provide. What an awesome weekend that was! My playing style is a more tactical approach, I like to assess situations before moving to positions or taking ground. I like to know my surroundings and where I can place myself or my squad for maximum effect. I tend to sit back and be aggressive when I need to be. I love being upfront in the fight and clearing buildings and taking control of areas on the field. but I am in the process of a NEW build which you can follow on my channel - KRYTAC! 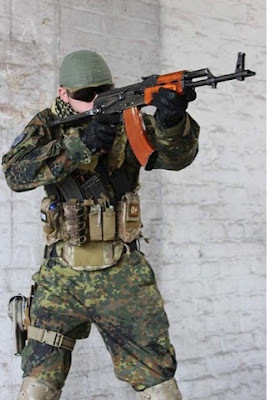 If I'm playing OPFOR, it’s a good old AK - probably my favourite rifle I own. And what load out do you normally run? Loadout all depends on where I'm playing or what situation I can find myself in on the ground. 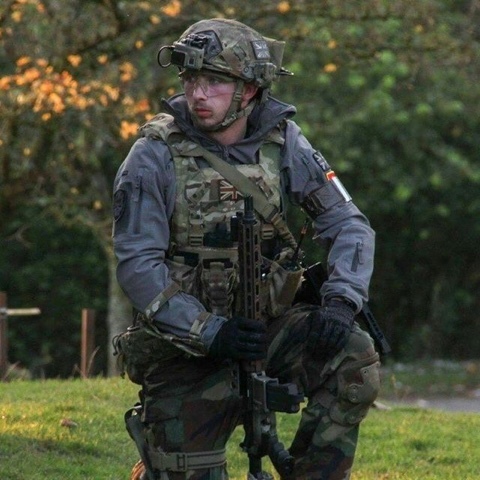 If I'm at a skirmish I try and run what I would for a MilSim but a bit lighter, just so my body can get used to running the gear and I can switch pouches or kit out if they are not vital. My loadout is constantly changing, I do have a problem with buying gear I must admit! I have posted a few loadout videos on my YouTube channel if you would like a more indepth look at some of the gear I run. I love putting them together and sharing them to see what people think. If I could say anything to other players, it would be to ENJOY IT ! It’s the player that makes Airsoft what it is! If you’re more experienced, help the younger/newer players out. Remember EVERYONE has been there! Where can my followers find you on social media? I'm on nearly all Social Media! YouTube is where I am mainly, I do try to reply to as many comments as I can. You can reach me on Facebook/Twitter/Instagram. Also if you want, feel free to message me - I'll always try get back to you!